Washington State ASCD is … a community of all educators committed to promoting promising practices to ensure ALL students are safe, healthy, engaged, supported, and challenged. Washington State ASCD was incorporated in 1956 as an affiliate of the Association for Supervision and Curriculum Development (ASCD). With over 125,000 members worldwide—superintendents, principals, teachers, professors, and advocates from more than 138 countries, ASCD is one of the largest and most influential educational associations in the world. WSASCD is one of 56 ASCD affiliates. The nonprofit’s diverse, nonpartisan membership is its greatest strength, projecting a powerful, unified voice to decision makers around the world. The association provides expert and innovative solutions in professional development, capacity building, and educational leadership essential to the way educators learn, teach, and lead. Washington State ASCD is an autonomous organization with its own officers and dues structure. Membership in ASCD does not automatically extend to WSASCD. 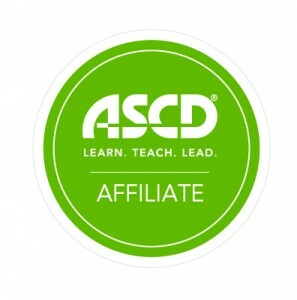 Joint memberships are available through ASCD. Participation in WSASCD offers opportunities for leadership, professional development, problem solving, joint planning, research, publications and networking.